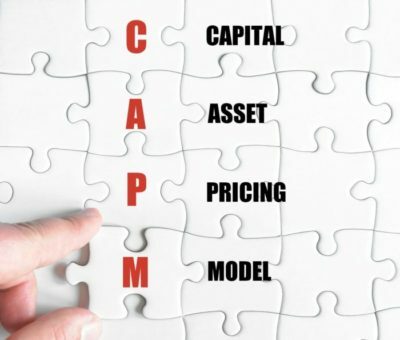 In the world of finance, the CAPM which stands for Capital Asset Pricing Model is a term that refers to the relationship between an expected return and the risk of a security. You can manually compute this using the CAPM formula. To make it convenient for you, this CAPM calculator will do the computation for you. How to use the CAPM calculator? How do you calculate Beta in CAPM? What is Alpha in CAPM equation? What is capital asset pricing model with an example? First, input the value of the Expected Market Return in percentage form. In the formula, this appears as Rm. Then input the value of the Risk Free Rate which is also in percentage form. In the formula, this appears as Rf. Finally, input the value of the Beta for Stock which, in the formula, appears as β. After inputting all these values, the calculator will automatically generate the value for the Expected Return on the Capital Asset in percentage form. Before you use this CAPM calculator, it’s better to understand what it is first. CAPM describes the relationship between an expected return, specifically in stocks, and the systematic risk. This term is widely used in finance, especially in terms of pricing for risky securities. With it, you can generate the expected returns for the assets while taking into consideration the risk that comes with those assets while also calculating the capital costs. Generally, the concept behind CAPM is that investors require compensation in two forms namely the risk and the time value of money. In the CAPM formula, the Risk Free Rate stands for the time value of money. This provides the compensation to the investors for placing their money in that particular investment. The formula also has a representation of the risk. This is also an important part as it calculates the amount of the compensation that the investor requires if he takes on additional risk. You can acquire this value by taking the Beta, also known as the risk measure) which compares the asset returns to the market premium and the market over time. This means that the Beta has the same risk level as the stock market. So if the stock market increases, so will the stock price. If the stock market decreases, so will the stock price. This implies a higher volatility and risk level compared to the stock market. In such a case, even if the stock price change’s direction will remain the same, the movement of the stock price will be extreme. This implies that the stock prices will move along with the overall market. Despite this, the stock prices won’t be as volatile or risky. Generally, big companies which have predictable profitability and Financial Statements would have a Beta value that’s lower. The values of Beta would fall between 0.1 and 2.0 normally, but higher numbers and negative values may also occur. Alpha refers to the notion that markets are well-organized. This means that there’s no way to earn returns systematically which go beyond the market in its entirety. This is typically used in combination with Beta (β) which measures the systematic risk of the market. In finance, you use Alpha as a measure of performance. It serves as an indication when a portfolio manager, a strategy or a trader managed to overcome the market return. Alpha measures the performance of a specific investment against a benchmark that represents the movement of the market in its entirety. Its operations are US-based, and it trades on the NYSE. It has a current yield of 2.5% in the US treasury. It has a 7.5% average rate of the excess historical annual return for stocks in the US. It has a beta of 1.25. Using the formula, what would be the expected return?